Winter is crab season on the Oregon Coast! Dungeness crab have been commercially harvested on the West Coast for more than 150 years and today this fishery is considered the most valuable single species commercial fishery in Oregon with an average value of 32.5 million dollars. The ocean crab season along the Oregon coast typically begins on December 1st and continues through August, although the majority of the harvest occurs during the first eight weeks of the season. During the peak of the Dungeness crab harvest fresh crab is readily available at supermarket seafood counters and specialty seafood markets up and down the coast. Click here to find fresh crab near you! You can also try your hand at harvesting Dungeness crab year round on the Oregon Coast. Crabbing requires minimal gear that is often available for rent in coastal towns and can be done from a boat or dockside. Try it today! Don’t forget to stop by the South Coast’s annual celebration of this treasured resource next month at the 33rd Annual Charleston Crab Feed! Welcome OSU Intern Courtney Flathers! We would like to welcome our new intern, Ms. Courtney Flathers, a Masters Student in Public Policy at Oregon State University. Ms. Flathers’ family is from the south coast and she will be working part time with the tourism program January to June 2017 when she will graduate. She will be involved in a number of ongoing projects and be meeting with tourism businesses and community representatives along the coast. She will also be participating in the South Coast Rural Tourism Workshop Series beginning January 24th and will be assisting with applied research and preparation of reports and training materials to be produced by the OSU Sea Grant Extension tourism program. In addition, Ms. Flathers will be assisting with the publication of blog posts presenting tourism and outdoor recreation focused information. Posted in News Release, Uncategorized. 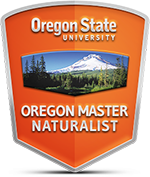 Oregon Master Naturalist Training: Online Component starts today! Designed For: Those interested in Oregon’s natural history and how our state’s natural resources are sustainably managed.